Which 2015 Releases are you most Looking Forward to? My answer to this question is so easy. None. That’s because I never buy new releases. Why? Because that would usually mean buying an overpriced ebook or buying a hardcover. No thanks. I actually know the last two new releases I bought. I bought Misery Bay (Alex McKnight #8) by Steve Hamilton in 2011 and The Jaguar (Charlie Hood #5) by T. Jefferson Parker in 2012. I just said I never buy new releases and here I’ve mentioned two books that I bought fairly recently. Well, I bought them from the indie bookstore here that hosts all the major authors who go on tour. This place gets them all. And I attended an event for each of these two authors and decided to buy the new release so I could get my other books signed. Was I particularly happy about having to buy these two books? Nope. They’re more overpriced than even Barnes and Noble is. At least they usually have discounts on new releases. But I decided that paying $24.95 or whatever it was was okay to get some autographs. Anyway, so this means that I am not looking forward to a single 2015 release. I’m not sure I even know of any forthcoming books this year. I mean, I know James Patterson will release more books than anyone, but that’s about it. So which 2015 releases are you most looking forward to? Ever Been to an Author Signing? I mentioned in a post earlier this week that I’ve been to a couple of author events. They were for authors T. Jefferson Parker and Steve Hamilton. Now you may not know either of them, but they have both won two Edgars. I’ve written about the Edgars and they are a HUGE deal when it comes to mystery writing. And both of these guys have won an award twice. Not an easy feat. Let me tell you about the actual events. They were both held in a small indie bookstore by the name of Murder by the Book here in Houston. And let me tell you, ALL of the big mystery authors who go on tour come to this store. There are a couple other indie stores in Houston who have author events, but I’d have to think that this is the most successful. Anyway, the events I attended were pretty much exactly the same. Both times the author spoke for maybe 20 minutes or a half hour and then started signing everyone’s books. The 20 minutes may not seem like much, but if you listen you can learn quite a bit about them. I know I did. The best part for me was definitely when they signed my books. I think I got four signed by both. I don’t feel like snapping pictures, but trust me that they’re signed. AND another great thing that I learned was that both of these famous authors who have surely sold millions of books are no different from anyone else you might know. T. Jefferson Parker helped me get my hands on a couple of his books that were unavailable from any of the major retailers. And Steve Hamilton snapped a photo! How freaking cool were they? I have some minimal experience as an author on the other side. Maybe some of you know that I had a signing at my university all the way back in November. It happened just a couple of weeks after my book was released and I had a lot of fun. I sold all but four of the books I’d taken with me. And I’d had classes with a bunch of the guys who were pretty happy to see that I’d written a book literally right out of school. Of course, I never heard anything from any of the 21 people who bought one that day. So who knows what they thought of the actual writing. The point of this post is to tell you all that I think author events or signings are actually pretty great. I don’t think they necessarily drive many new readers the author’s way, but I’m certain that plenty of his or her regular readers will attend events year after year. And it gives the author the opportunity to interact with readers in a manner that social media or other public appearances just don’t allow. Two things: Have you ever been to an author event? Or have you ever had one of your own? This was from my signing. It was CJ Majors Day. This is NYT bestselling author Steve Hamilton. Oh my goodness. This was three years ago, I was teeny tiny with braces and just ugh. 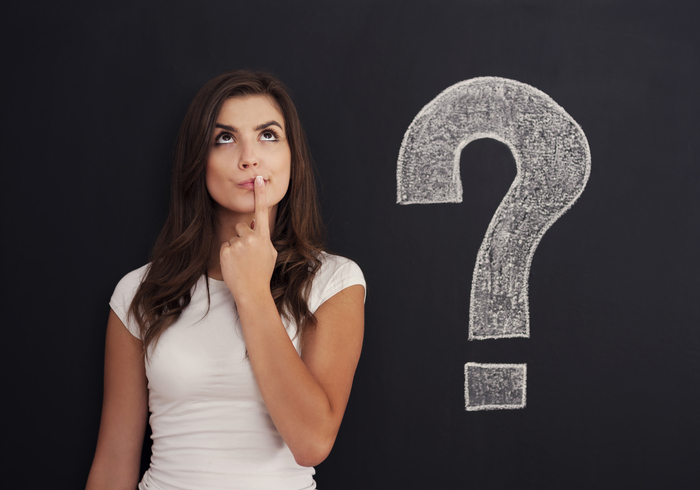 How well do you know the target audience for your book(s)? I’m of course not meaning how well do you know individual readers of your work, I’m talking about the demographic that reads books similar to yours over and over again. I’d like to think I know mine fairly well. And honestly, I’m sitting here trying to remember if I’ve written about this before now and I have no idea. So if you’re reading this thinking that you’ve read it before, well you’re not in the Twilight Zone. Or maybe we both are? Yikes. Let me tell you what some very keen observations have told me about my target audience. Have you ever been to an author signing? Well they’re pretty cool if you’re not among hundreds of people. I’ve been to a few. Both crime writers. Both NYT bestsellers as of today. I met Steve Hamilton and T. Jefferson Parker. I have all but just a couple of their books. But I’m not here to talk about the events or what those two were like, I want to tell you about what I saw there. This is very unscientific, but you use what you can, right? I would say both events were attended by maybe 50 people. It’s hard to say because the store changed its layout sometime in the months between these two events. Anyway, what I saw was approximately 90% White women. Who were aged 50+. And based on nothing at all, who I thought were college educated. I could probably come up with some other characteristics, but that’s all I focus on. And I’m thinking that this type of person is a big reader of crime novels across the country. I don’t work in a bookstore or anything like that, but I do read other blogs and I have occasionally had someone buy books from me at work. And they fit the demographic I’ve described exactly. Now that I claim to know my target audience, now what? Well, the only way I can think that knowing this has influenced my writing is the fact that Andrew Banks is obviously white. But other than that, the whole “write for your audience” thing people say is stupid to me. I write whatever I feel like. Two things: Do you know your target audience? And how does this affect your writing? 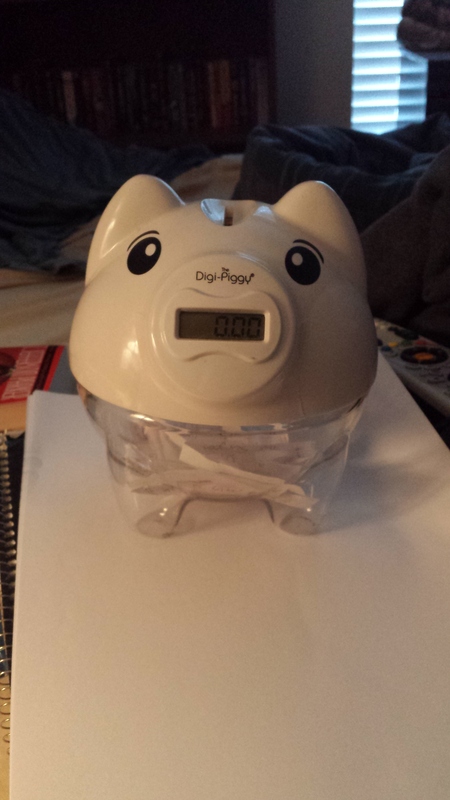 Introduction of my TBR Piggy! Ahahaha I seriously love the title of this post. So recently I’ve started following some Booktubers on Twitter. I think that’s what you call those book vlogger people on YouTube? Anyway, and of course I read a ton of blogs on here. One of the things that I’ve seen a lot of is a TBR jar. Basically it’s your basic jar and you just write down all the names of the books in your TBR pile and whenever you want to add a little spice to your reading game you just pick out a title from the jar. I’ll still be following my own rules of how I pick my next book to read, but I’ve been wanting to make one of these for some time now. I’m just lazy. My jar isn’t really a jar. It’s a piggy! Hahaha it actually has a lot of loose change in it right now, but I’m about to dump it all out and get my TBR book titles in there. I hope I have someplace for all that change. So that’s all I have for you today. Sorry for the short post, it was definitely rushed and I actually have to work tonight. Ugh to that. The first book out of the TBR piggy is…Where Serpents Lie by T. Jefferson Parker. I started this awhile back but didn’t finish it. Guess I have to now. Just look how cute he is. Series or Standalone: How do you decide? I have to assume that most authors make this decision before beginning work on a new book. I would hope so. And there may even be times in which the publisher ultimately makes the decision for the author based on the success of previous works. But we’re just talking about the author’s perspective. So you’ve decided to write a book? Great. Now you’ve come up with some story you want to write. Great. Then you begin writing. Yes, I know there are more steps to beginning work on a book, but the point of this post isn’t the book writing process. It’s about deciding whether or not your book should be the start of a new series or if it should be a standalone novel. What needs to happen for you to make this decision? This decision was made LONG before I started writing. I’m talking December 2011! My first draft was finished in August 2013. I didn’t even begin writing until May 2013. But I always knew that I wanted to write a detective series. Let me tell you why. Because I LOVE series. The number of books in the series makes no difference at all. The Hunger Games is my favorite series ever. It’s a simple trilogy. Harry Bosch will appear in the 19th book of his series later this year. Robert B. Parker’s Spenser detective appeared in 40 books before Parker’s death in 2010. He’s since appeared in three more novels. Alex Cross has appeared in 21 books to date. See, the quality of a series doesn’t depend on the number of books written in said series. Would I love more THG books? Yes. Would I love for Parker to have written more Spenser novels before his death? Yes. BUT there’s another side of the same coin. Some of my favorite authors have made their livings off of writing standalone novels. T. Jefferson Parker, who has written two of my nine favorite books, has written 11 standalone novels. Some fans of his would even argue that his writing is worse when he’s writing a series. His most recent Charlie Hood novels have not been well received by his readers, but some of his older work has helped him win two Edgar awards for Best Novel. Both books are as great as it gets in crime fiction. Another of my favorite authors Marcus Sakey has gotten his writing career off the ground with standalone novels. Six of his eight books have been standalones. I hated his first series related book. I won’t even consider continuing the series. So what helps you make the decision to write or not write a series of books around a single character? Do you think it’s inherently easier to write a long series? Or do you think you’ll be able to produce better stories if you have a new protagonist every time you write? Tell me your thoughts. It seems like a simple enough question when you ask, but can turn into a whirlwind of things for the person who is trying to come up with an answer. Because any person who has read as few as fifty books will likely struggle for an answer. Here’s what would happen to me if asked about my favorite book. The first thought to enter my head would be the list I keep of my top/ favorite books read. It’s a list in the ballpark of 150 books. I would think of the top five. The top five includes Michael Connelly, Suzanne Collins, T. Jefferson Parker, Marcus Sakey, and Eric Nylund. Three of these authors are crime novelists and two are not. I would think back to each of the books and decide that it’s near impossible to pick any one over another, no matter how I have them ranked. Then I’d think of my first book. Could that be my favorite? I’ve read it more times than I’ve read any other book. I wrote it. The protagonist is me. Surely it’s at least in the conversation. But does the book stand up against the others I’m thinking of? And how could I forget The Great Gatsby? Then my Excel spreadsheet of all of the book authors I own would come to mind. I would think about the fact that a handful of authors make up a huge chunk of my reading. My favorite must be written by one of them. Maybe Robert B. Parker or Steve Hamilton? Maybe Robert Crais or James Patterson? Then all of the series I read would jump into the equation. Katniss Everdeen is one of my favorite literary characters ever. And Alex Cross. And Spenser. And Elvis Cole. And Karen Vail. And finally, with my head spinning in circles, I would accept the fact that it’s impossible to pick a single favorite. All while the person asking the question was simply trying to make small talk by asking in the first place. BUT if you had to pick one favorite book that you’ve read, what would it be?